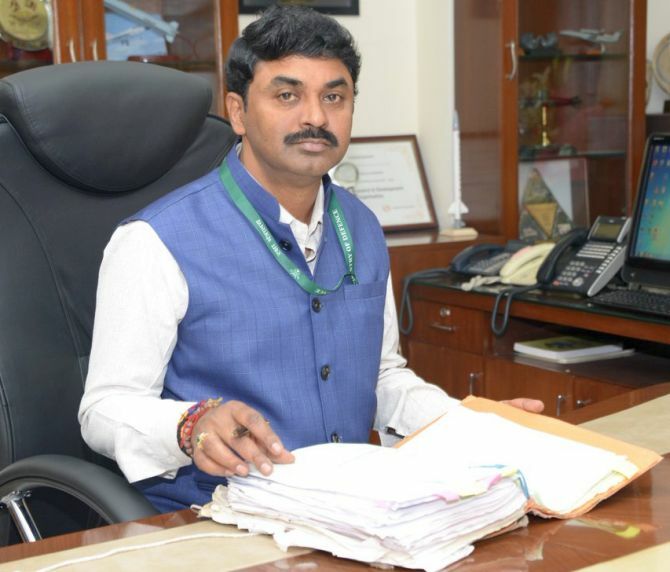 DRDO chief G Satheesh Reddy Reddy is the first Indian to be appointed Fellow of the Royal Institute of Navigation and of the Royal Aeronautical Society. Scientists of the Defence Research and Development Organisation are basking in the limelight after being publicly lauded by Prime Minister Narendra Damodardas Modi for successfully conducting an anti-satellite or ASAT test, a capability that only the United States, Russia and China had demonstrated so far. A key role in this achievement has been that of DRDO chief G Satheesh Reddy. An acclaimed navigation specialist, Reddy personally led the development of systems that guide a missile, itself travelling at hypersonic velocity, to a satellite 300 km away that is travelling through space at almost 30,000 km per hour. Even so, the achievement remains a collective one, shared by hundreds of scientists and technologists who participated over decades in the Integrated Guided Missile Development Programme. The IGMDP was kicked off in 1983 by the talismanic DRDO chief (and later President of India) A P J Abdul Kalam, and spearheaded by talented and hardworking young scientists that he personally selected. Amongst those were propulsion specialist Vijay Kumar Saraswat, who headed DRDO from 2009 to 2013; and navigation systems specialist Avinash Chander who followed Saraswat as DRDO chief from 2013 to 2015. Like Reddy, these pioneers masterminded the Prithvi and Agni programmes and the many strategic missile systems that flowed from the IGMDP, including the ballistic missile defence programme and now the ASAT system. Reddy is, in a sense, a child of the Modi government's shake-up of the DRDO. In August 2014, three months after coming to power, Modi publicly criticised DRDO's endemic delays, which he ascribed to a 'chalta hai' (lackadaisical) attitude. Four months later, he sacked then DRDO chief Chander, terminating a service extension that had recently been granted. Of the three posts that Chander held -- DRDO chairman, secretary defence R&D and scientific advisor to the raksha mantri (SA to RM) -- the first two went to radar specialist S Christopher, while Reddy was given the prestigious job of SA to RM. In being elevated to that post, Reddy, then less than 55 years old, superseded an unprecedented number of seniors. When Christopher retired last August, Reddy was given both his posts, making him the top defence R&D czar. Even after taking over as SA to RM in June 2015, Reddy retained the crucial DRDO appointment of director general (missiles and strategic systems), overseeing the development of navigations systems by the research centre Imarat, the secretive laboratory he had earlier headed. With propulsion systems development having more or less stabilised, most key advances in strategic and tactical missiles, guided bombs and drones are now taking place in the precision of navigation systems. Many of the DRDO's key projects, such as guided glide bombs, guided rockets in the next Pinaka rocket launcher system, and the next-generation of strategic missiles such as the unacknowledged Agni-6 and the K-4 submarine-launched ballistic missile, fall squarely in Reddy's sphere of expertise. The DRDO chief, savvy in New Delhi politics, clearly understands the imperative to share credit with the government. Even though Saraswat had repeatedly stated, from as early as 2010, that the technology for an ASAT test was ready and developed, Reddy has prudently allowed credit to the Modi government. "While we have been working on the technology for a while, as you know, serious work on it started about two years ago in 2016-2017. We went into mission mode only six months ago, from when we worked day and night. This is a new missile that has been developed although we have used some existing technology as background," Reddy told an interviewer. Asked who he would credit for the test, Reddy replied: 'The national security advisor (Ajit Kumar Doval) whom we report to on strategic matters gave direction to go ahead with the test and he had the concurrence from the prime minister." In the often staid Indian scientific community, Reddy is a youthful star. In 2015, he was awarded the prestigious Institution of Engineers (India) and Institute of Electrical and Electronics Engineers award. The same year, he was awarded a medal by the prestigious Royal Aeronautical Society, London, which has recognised aerospace excellence every year since 1909, when Wilbur and Orville Wright came to London to receive the first gold medal. Reddy is the first Indian to be appointed Fellow of the Royal Institute of Navigation in London, and of the Royal Aeronautical Society. He is a foreign member of the Academy of Navigation and Motion Control, Russia, a Fellow of the Indian National Academy of Engineering, an Honorary Fellow of the Computer Society of India, and of the Sensors Research Society.